Diaper Cake Mall is proud to present a new line of DIAPER CAKE for Decoration. Each cake made of diapers, ribbons and wooden embellishment. Beautiful handmade Diaper Cake! It can be used as a shower centerpiece or just to give as a gift! 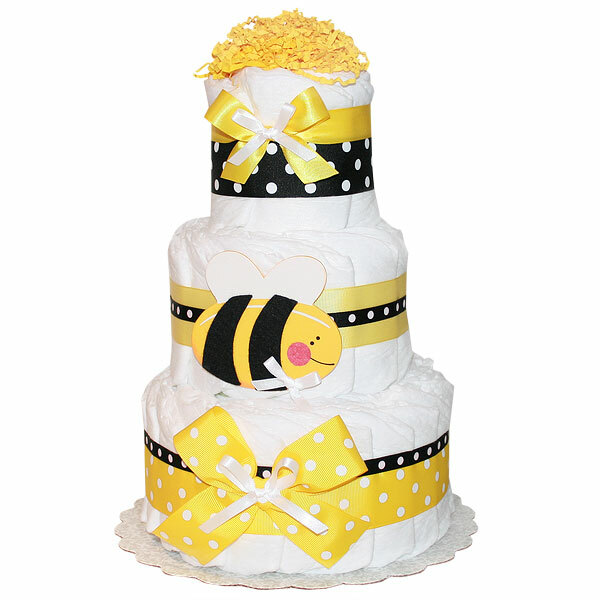 This beautiful and fun cake is created with layers of premium brand-name disposable diapers (Pampers Swaddlers) and decorated with elegant coordinated ribbons and bows. This cake made of 50-55 diapers Pampers Swaddlers size 1 (8-14 lbs. ), one wooden bee.